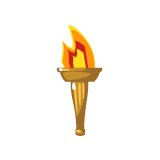 The Camporee theme is "Scout Olympics" and is to commemorate the summer Olympics being held in Rio de Janeiro the Summer of 2016. Events are a mixture of Scout-skill tests, patrol challenges and physical contests. Emphasis is on fun, teamwork and sportsmanship. This page is maintained by John Chesser.